January is usually the least inspired month for shop window displays on the high street - an army of aggressive red banners roaring 'SALE' in your crowd-weary and weather-beaten face, stamping out the remains of sparkling whimsy from the previous festive period. So a welcoming 'hurrah!' 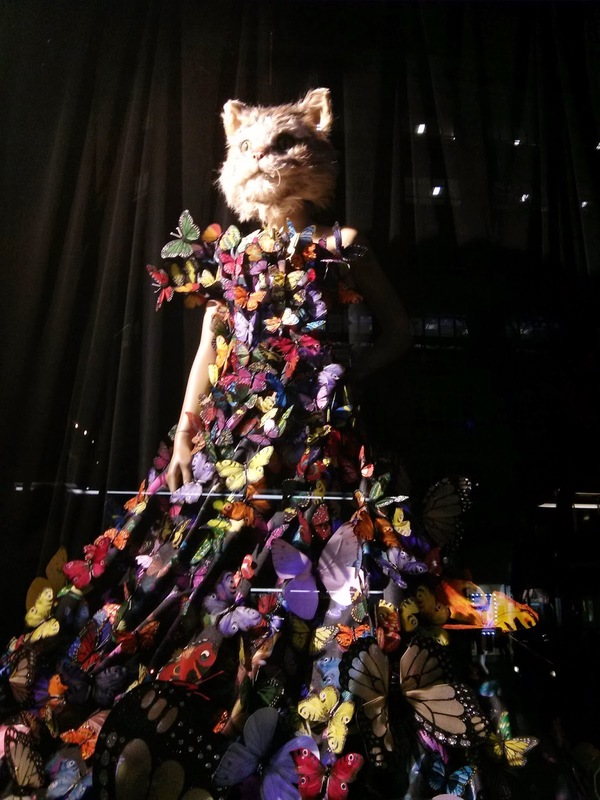 goes to Selfridges, which last week launched their Festival of Imagination, for starting 2014 with this feline beauty clad in a dramatic butterfly gown which attention-seeking stars would fight over for the red carpet. It's fantastical, dreamy and ever so gothic. Refreshing originality and bursts of colour breaking through the most cynical month on Oxford Street.